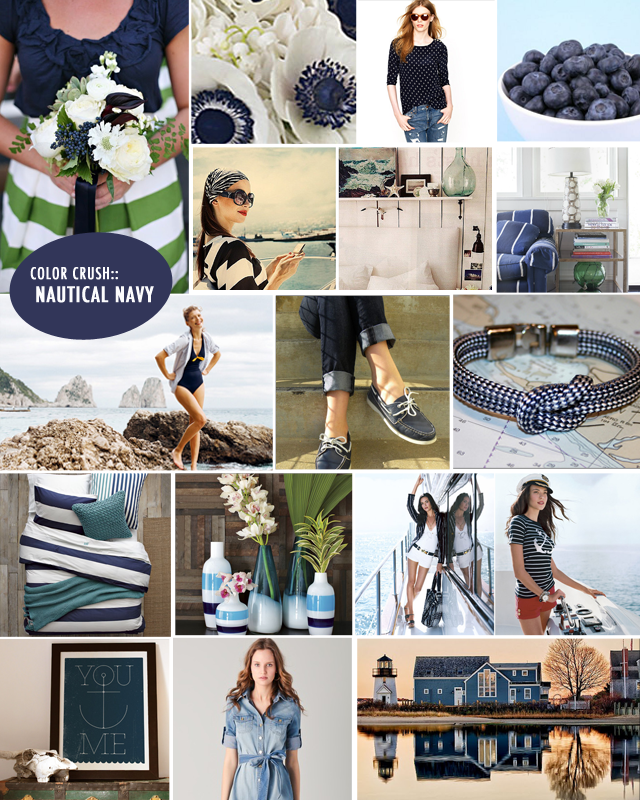 I absolutely love blue…and navy in particular. Don’t you just want to sail away? Summer is coming and that means we’re going to get lots of time on the boat and soaking up the sun. I love wearing navy. In some instances, I think it’s the new black. I was going through my closet and if you can believe it, I actually have more navy pieces than black. Shocking I know. Add some pops of navy into your interior design – vases, pillows, throws and prints. I personally feel that navy blue is a calming color. At least it really calms me.